Hundreds of athletes and dozens of coaches have suited up in Point Park uniforms over the years, but only a select few have their legacies permanently enshrined at the university. Point Park added two more athletes to its Pioneer Athletic Hall of Fame Saturday as part of the Athletic Department’s Alumni Weekend. Rob Dinwoodie, a star baseball player from 1997-00, and Lindsey Baranski, a four-time all-conference softball player from 2008-11, became the 55th and 56th members of the Hall of Fame. 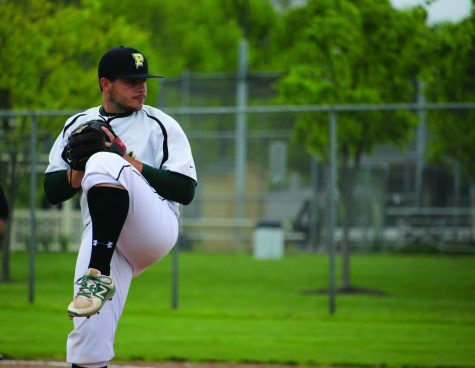 Dinwoodie is still a prevalent name in the Point Park baseball record books long after his graduation. The Ontario native played a major role on the 1998 Point Park team that made a National Association of Intercollegiate Athletics (NAIA) World Series appearance. Baranski was the first recruit that current softball head coach Michelle Coultas signed and made an immediate impact as a Pioneer. 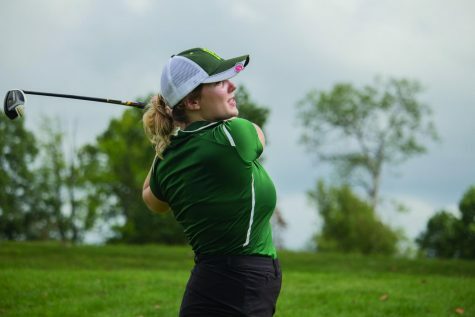 She was a team captain for the duration of her Point Park career and helped the program establish itself as an annual contender in the conference. The Pioneer Athletic Hall of Fame inducted its first class in 1973 and was reinstated in 2000. Since its inaugural year, the 56 individuals and one team inducted have set the bar high for potential inductees. There are athletes and coaches on campus now building their Pioneer Athletic Hall of Fame resume, and a handful stand out among the rest as potential future Hall of Fame members. Eligible nominees must wait five years after the conclusion of their Point Park careers, and head coaches must have a minimum of three years of Point Park coaching experience. Men’s basketball coach Bob Rager has gone far and above the minimum three-year requirement for head coaches. Rager enters his 28th year as the head coach of the men’s basketball program in 2016-17, and last year topped the leaderboards for wins among head basketball coaches in the city of Pittsburgh. 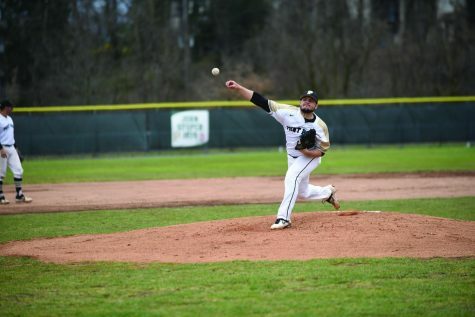 He is the all-time wins leader at Point Park, a title he earned during the 2010-11 season when he passed Jerry Conboy, a 2000 Hall of Fame inductee. He has led Point Park to three NAIA Tournament appearances, including a trip to the Final Four in 1996-97. Rager continues to come back year after year to lead the Point Park basketball program, something he has done since 1989. If anybody at this university is a lock for a Hall of Fame nod, it’s Rager. Somebody who has been on track for a while now to be a Hall of Fame lock is Athletic Director Dan Swalga. 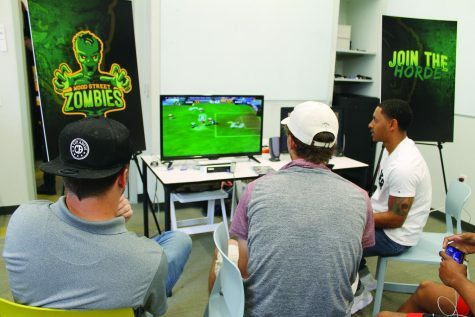 Swalga began at Point Park in 2006 and has revolutionized the Point Park Athletic Department. Under Swalga’s tenure as Athletic Director, the department has grown to include 17 varsity sports, transitioned to the growing Rivers States Conference and improved in both academic and athletic performance. He also has helped secure top-level facilities for Point Park’s teams. Before the days when Point Park called Highmark Stadium home, the soccer teams just hoped they would find a regulation-sized field to play on that wouldn’t cause too many injuries. Not only does Point Park play soccer on a professional turf, it also has quality facilities in volleyball, baseball, basketball and softball. Point Park athletics continue to improve every year, and the department owes much of that success to Swalga’s leadership. 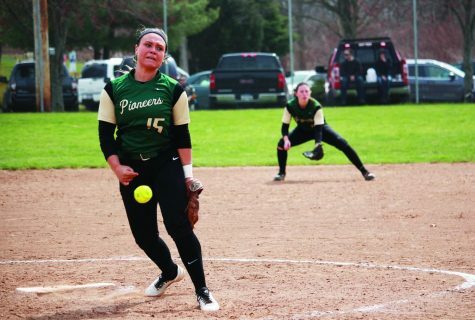 Out of all the athletes at Point Park, Katie Guarnaccia may as well book her ticket to her Hall of Fame induction ceremony. 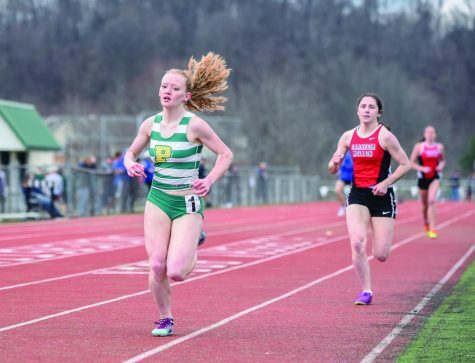 The junior cinema production major has rewritten the Point Park women’s track and field and cross country record books since her freshman year. Heck, she had enough on her resume to order a Hall of Fame plaque after her sophomore year. Guarnaccia qualified for the NAIA Cross Country National Championship each of the past two years. 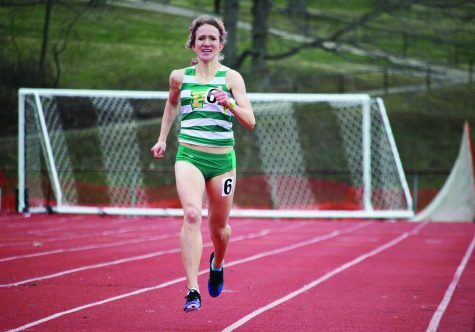 She was the Kentucky Intercollegiate Athletic Conference (KIAC) Cross Country Newcomer of the Year her freshman and the KIAC Runner of the Year last year. Her 2015 cross country campaign helped lead the Pioneers to a KIAC Championship and NAIA Championship appearance in Charlotte, N.C. This is all just cross country, folks. 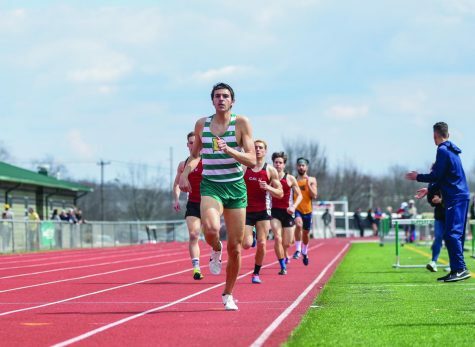 Guarnaccia also placed 11th in the nation last year in the 10,000 meter race at the NAIA Outdoor Track and Field championships, just missing NAIA All-American honors. She also competed at the NAIA indoor national championships in the 5,000 meter race. That’s four appearances in NAIA nationals in two years. She still has two years left here, then a mere five years before her Hall of Fame induction ceremony. Sure there are others at Point Park that could and should receive nominations. I could write much more on everyone that’s deserving of a Hall of Fame nod. Go out and find the future Hall of Famers for yourself. Go support the coaches and athletes competing here now. 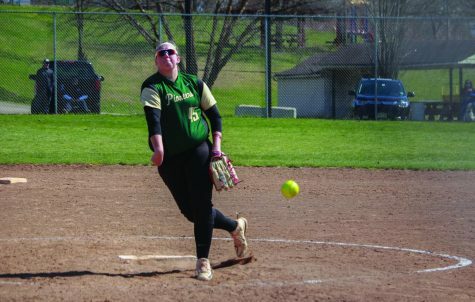 Then, at least five years after they’ve completed their Point Park career, you could come back and support them at their own Pioneer Athletic Hall of Fame induction ceremony.